With Humane Kyusho Jitsu you learn the ways to control any escalating Self Defense Situation in SECONDS! Have you ever seen a minor altercation between 2 people turn bad VERY FAST. Do you wonder if there was a better way to end it quickly without all out war and injury? In the province of Ontario Canada there is a program forced on works called the “non violent intervention program.” The idea of this program is to give as an example a healthcare worker the ability to deal with a violent patient without injuring the patient. The problem is that this program is garbage and will get someone killed. Why? Because the government is afraid of bad press and law suites. But there is another answer, a real answer. Humane Kyusho Jitsu. 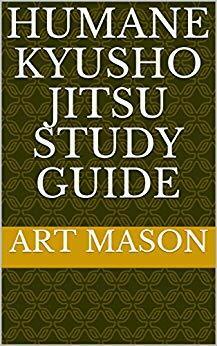 Humane Kyusho Jitsu - So what is in this eBook? Techniques to handle many bad situations before they get out of hand! Teachable information for professionals like doctors, ambulance attendant, teachers who may have to deal with a violent situation without becoming violent themselves! I put this information together many years ago for students in college, in medical courses who had to deal with sometimes violent situations with patients and mentally disturbed people but were not allowed to really defend themselves in the conventional way. And of COURSE ANY Martial Artist interested in improving his techniques! This eBook is also perfect for the dojo owner to teach his student and also for special self defense classes for parents! But now the best news of all!